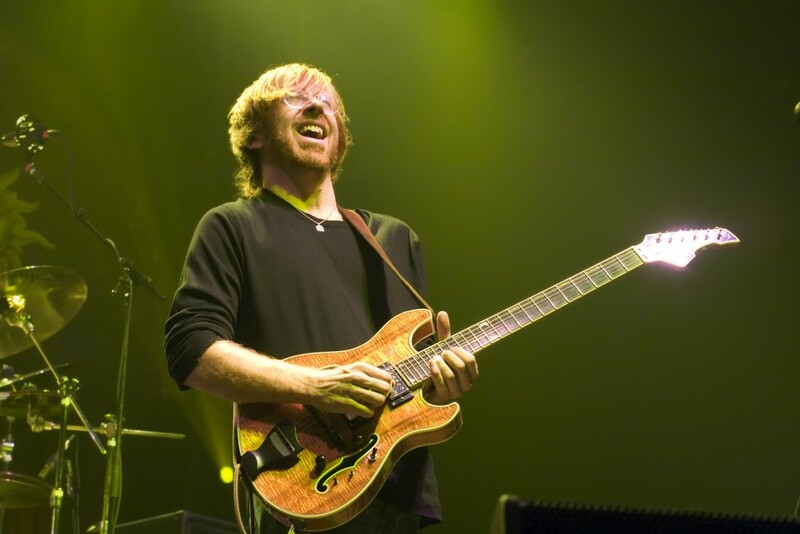 Grab your peace signs, inhale a cloud of Purple Haze, and put on your sandals, because Trey Anastasio (guitarist for Phish) will be playing for three live shows with ‘The Grateful Dead‘ in Chicago at Soldier Field. ‘The Grateful Dead’ have been playing around recently, and the last few shows, which will be July 3-5 will have the four remaining original members of ‘The Grateful Dead‘ perform with Anastasio. The four remaining ‘Grateful Dead‘ members: Bill Kreutzmann – 68, Phil Lesh – 74, Mickey Hart – 71, and Bob Weir – 67 will playing at Soldier Field in Chicago July 3-5. This will be the last time all four members will most likely play together on stage. Perhaps the most famous member of ‘The Grateful Dead’, Jerry Garcia, died back in 1995 (20 years ago). And the band ‘Phish‘ has a few similarities in style, fans, and music to ‘The Grateful Dead’. So it’s only fitting that Anastasio will be “filling in” for Garcia. Tickets will be offered through Grateful Dead Ticketing mail order, internet presale, as well as a public on sale via Ticketmaster. 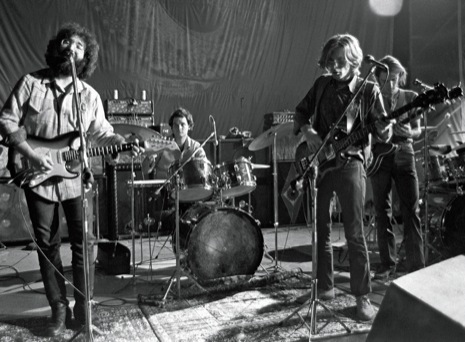 Grateful Dead Ticketing mail order begins January 20th click here for more details. Dead pre sale begins Feb 12th @ 10 a.m. CST via Dead Online Ticketing. Pre-registration is encouraged, but not required. Before checking out, all users must create an account after tickets are added and before completing the transaction. Public on sale is Feb 14th @ 10 a.m. CST via Ticketmaster. We are excited to team up with CID Entertainment to offer VIP and Travel packages to enhance your experience in Chicago! VIP Experiencesinclude amazing seats and amenities. Travel Packages offer a wide range of hotel choices in the Chicago area with your choice of ticket package and round-trip transportation to Soldier Field. There will be a general admission pit directly in front of the stage ($99.50). Reserved tickets range from $59.50-$199.50. A limited number of taper tickets will available for each show exclusively via mail order through Grateful Dead Ticketing. Taping is permitted exclusively in the designated tapers section. ADA seating will be offer through Ticketmaster starting on 2/14. All mail order and Dead Online Ticketing purchasers will receive commemorative Fare Thee Well tickets, designed with art selected by Grateful Dead Ticketing from the mail order envelopes submitted by fans. ‘Phish: A Live One’ is Getting the LP Treatment! This entry was posted on Tuesday, January 20th, 2015 at 12:00 pm	and is filed under Events, Music, News. You can follow any responses to this entry through the RSS 2.0 feed. You can skip to the end and leave a response. Pinging is currently not allowed. « WWE: SMACKDOWN 1/15/15 Recap!